With easy access and a wide range of facilities, stunning alpine scenery and a wonderful choice of activities on offer, Innsbruck - capital of Austria's Tirol region - is an ideal base for an outdoor holiday. This guidebook presents 60 routes covering some of the best day walks, scrambles, hut-to-hut walks, alpine mountaineering, sport climbing, via ferratas, mountain-biking routes, road rides, city and trail runs and family activities the Innsbruck area has to offer. 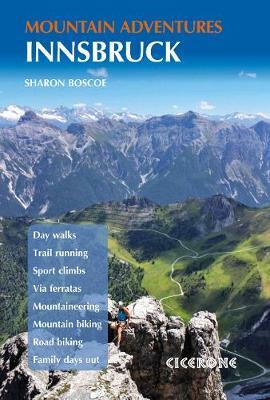 Ideal for a multi-activity holiday or for the keen amateur seeking a summary of the local highlights, it includes suggestions to suit most abilities and ambitions, from gentle strolls to adrenalin-filled mountain adventures, suitable only for those with the appropriate equipment and experience. Nearly all the activities are accessible by public transport from Innsbruck and many take advantage of the region's fantastic network of alpine huts. Route descriptions are illustrated with maps, profiles and photo topos, and you'll also find practical advice on transport, accommodation and equipment. Also included are brief summaries of local festivals, rainy-day activities and other outdoor pursuits that can be enjoyed in the area. Useful contacts - including listings of local mountain huts and restaurants - can be found in the appendices. Long popular as a winter sports destination, Innsbruck also has much to offer the summer visitor, with many kilometres of paths and trails, sport climbing crags, via ferrata routes and engaging activity trails for children. Throw in welcoming huts serving refreshing drinks and hearty meals, in addition to breathtaking vistas of the Karwendel and Stubai Alps, Patscherkofel and Serles, and you have all the ingredients for a fantastic outdoor adventure!